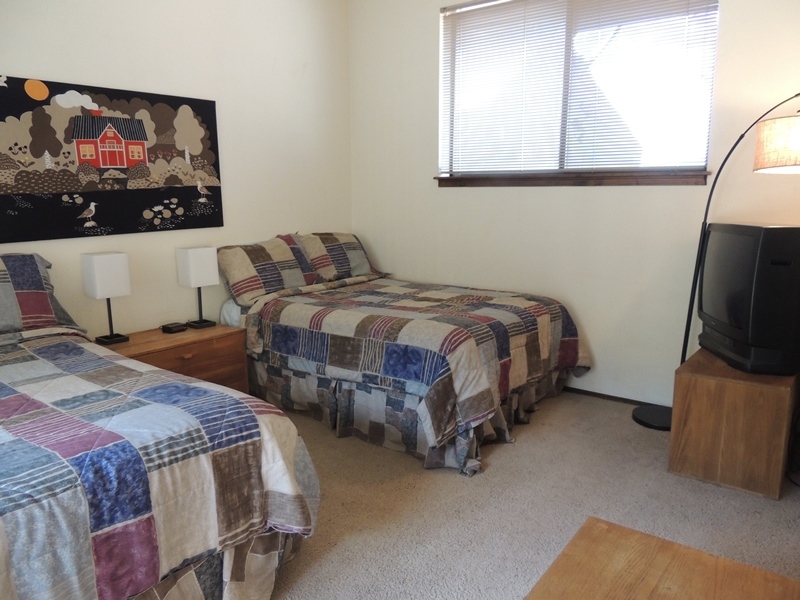 This two level, second story 3 bedroom/2 bathroom condo in the Bella Vista Condos located on Vail Ave. about 1 block from the slopes. 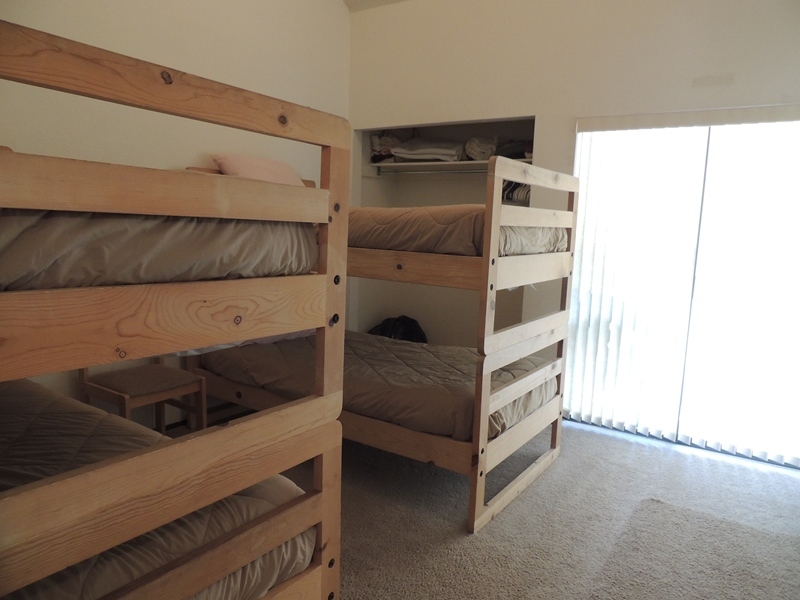 This unit sleeps a maximum of 12 people. 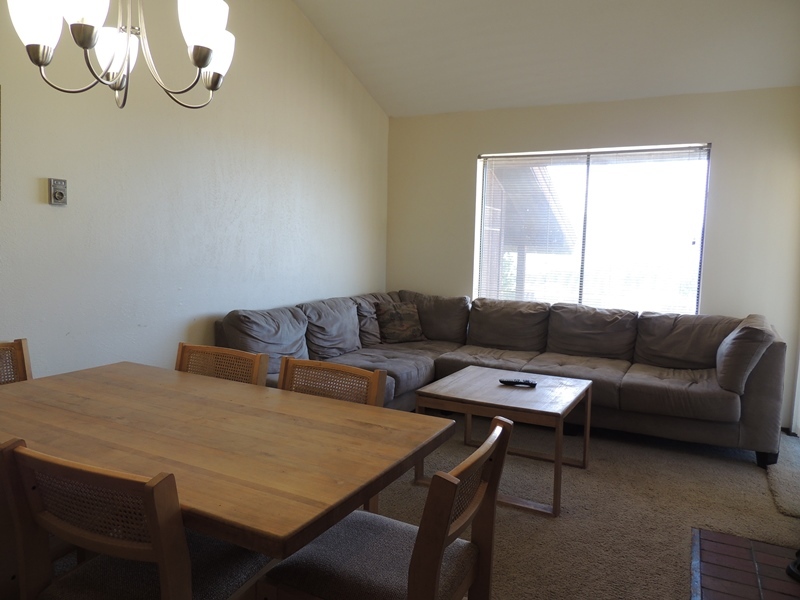 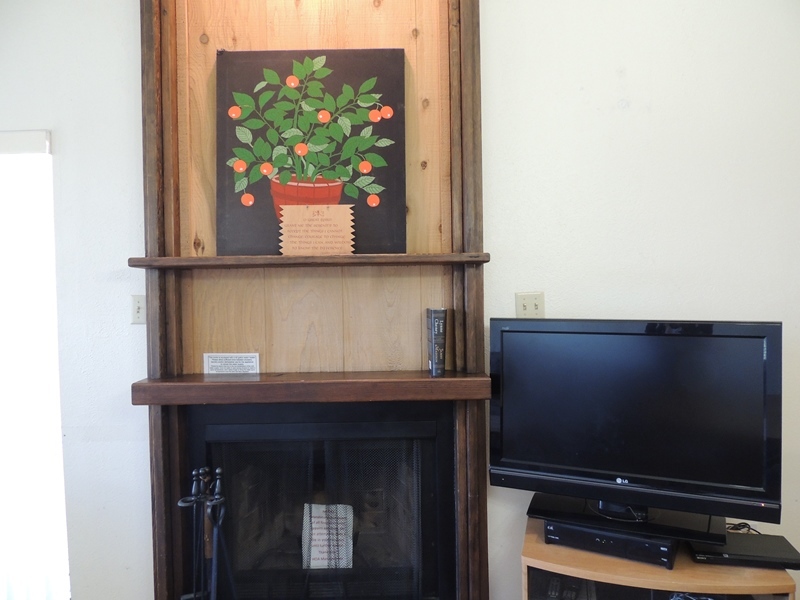 The living room has a 36 HD flat screen cable TV and DVD, and a two-piece L-shaped couch. 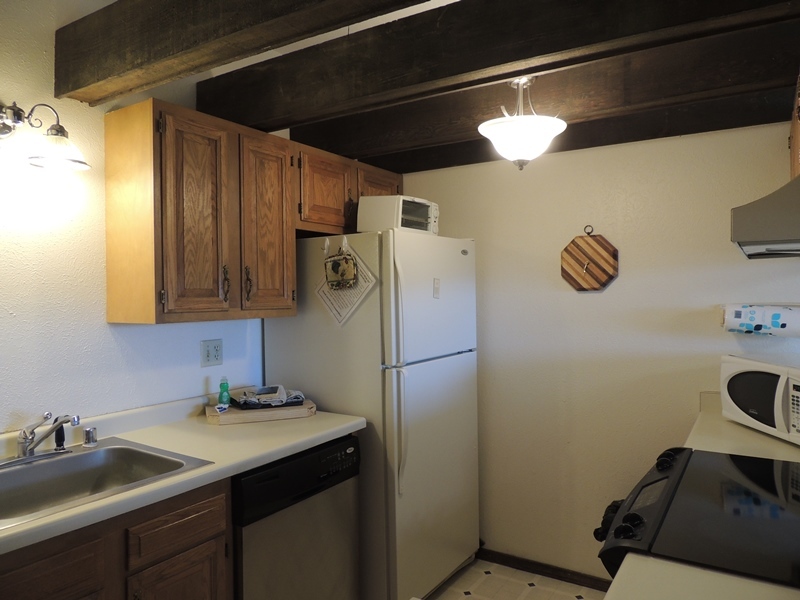 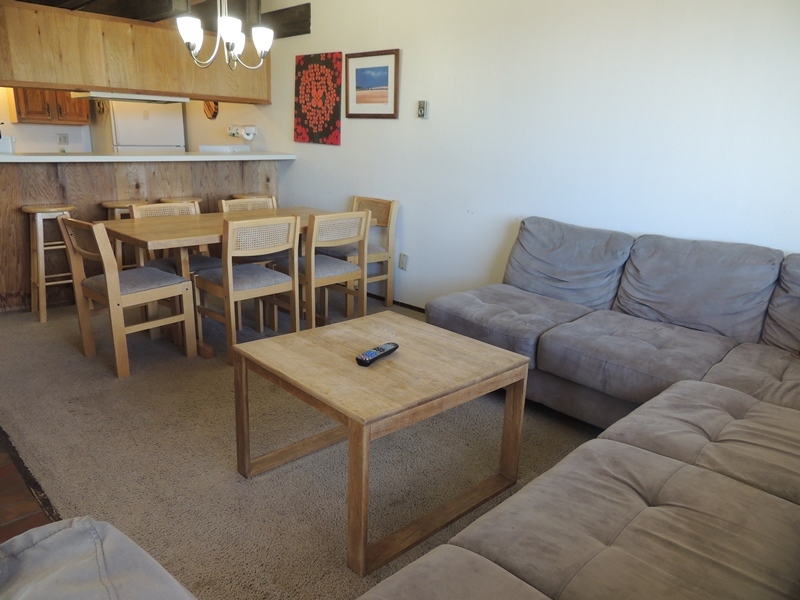 The living room has access to balcony with great views of Wheeler Peak and the Sangre de Cristo mountain range.The kitchen is fully equipped with all major appliances. 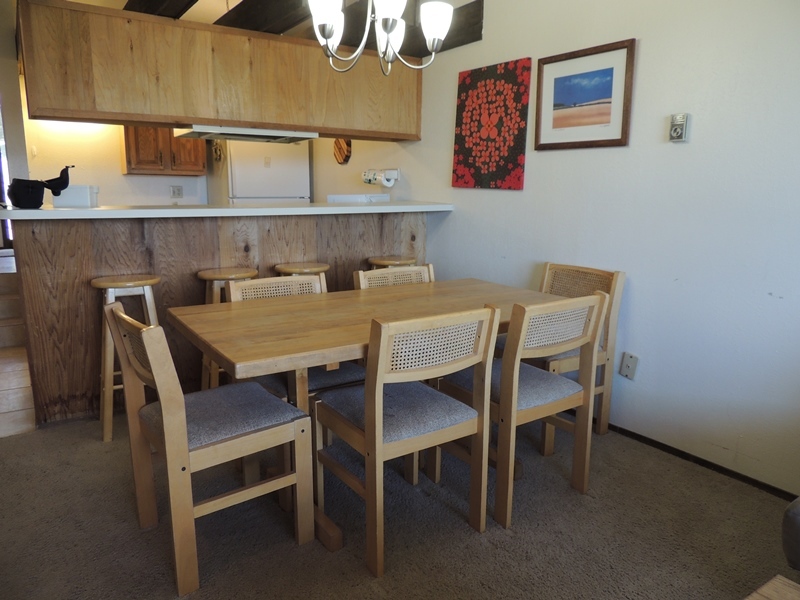 The dining table seats 7 with additional seating for 4 on stools at the kitchen counter.On the main floor, there are two bedrooms. 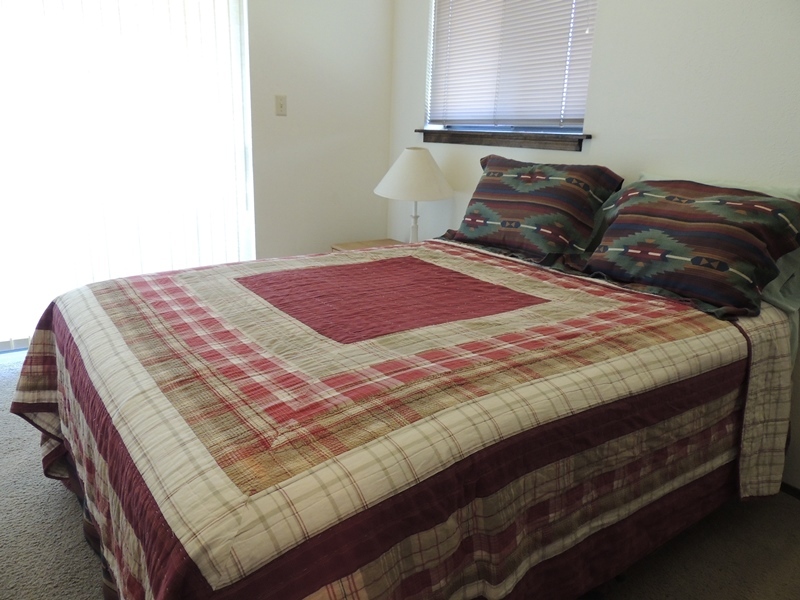 The first bedroom has a queen bed, 28 TV, and access to a balcony with great views of Wheeler Peak and the Sangre de Cristo mountain range. 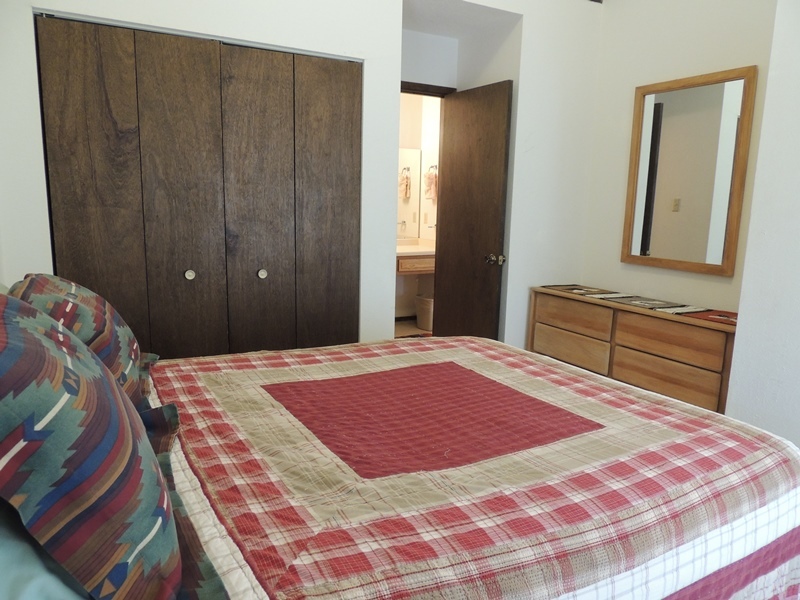 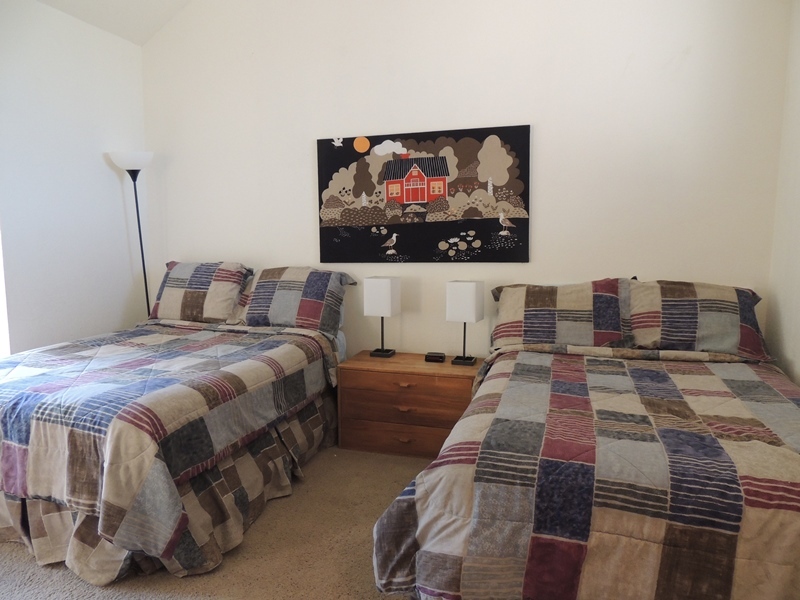 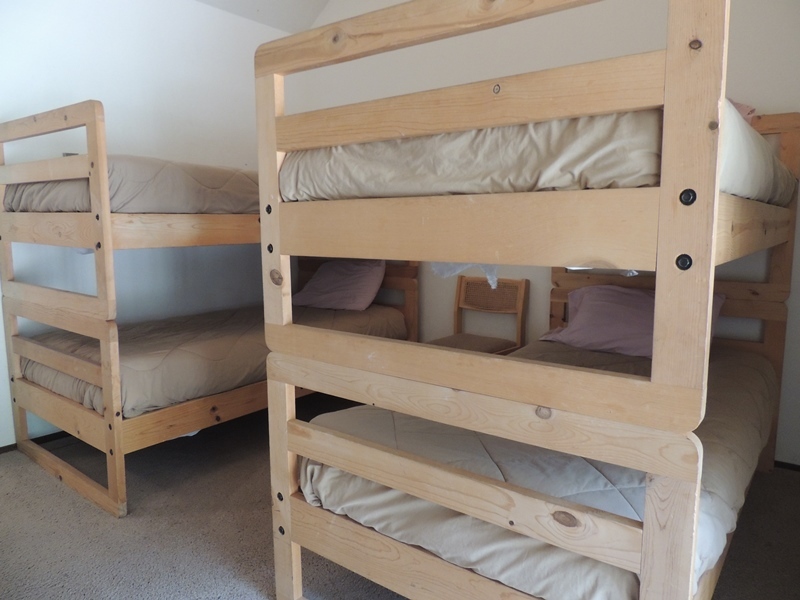 The second bedroom has two sets of twin-size bunk beds and access to a small balcony. 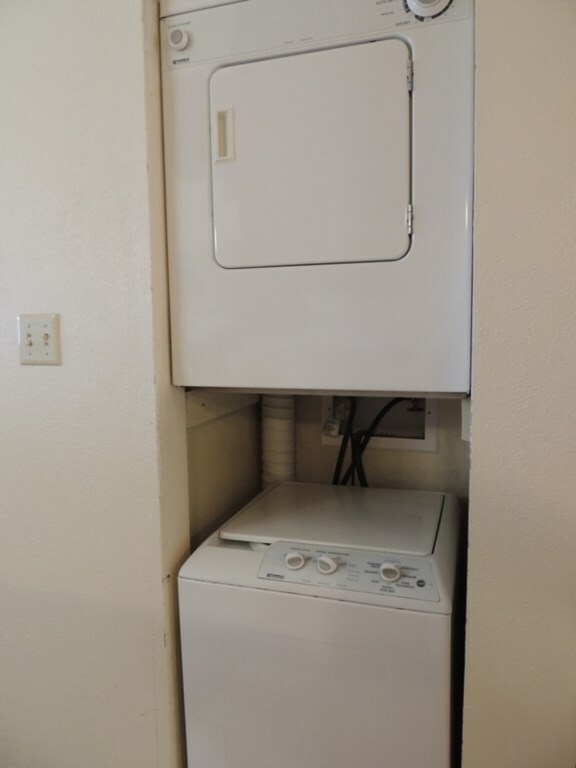 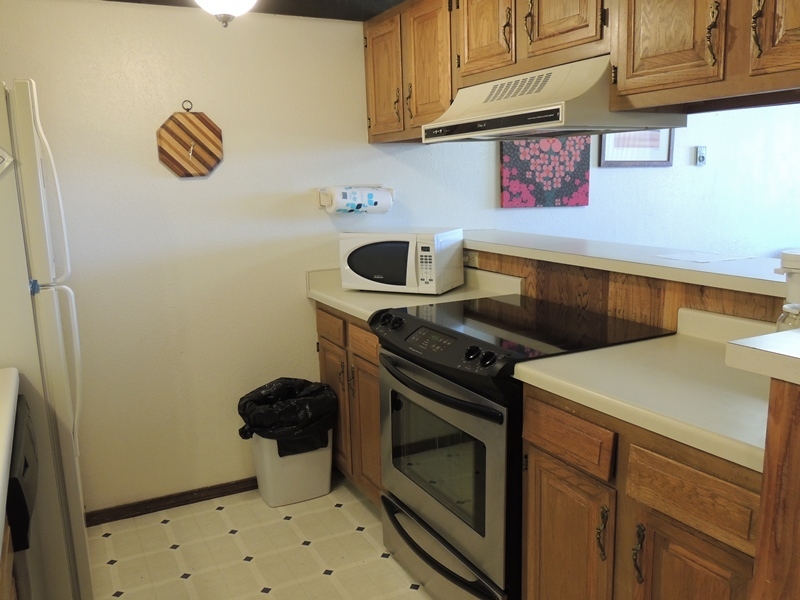 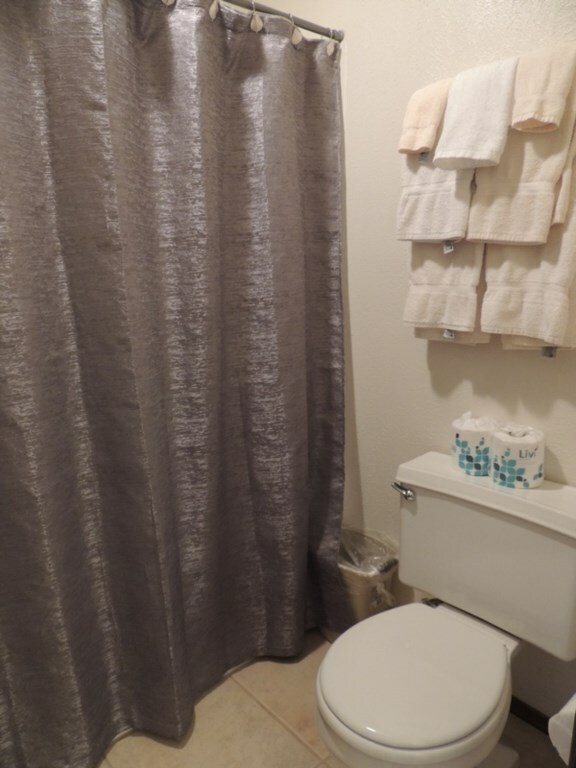 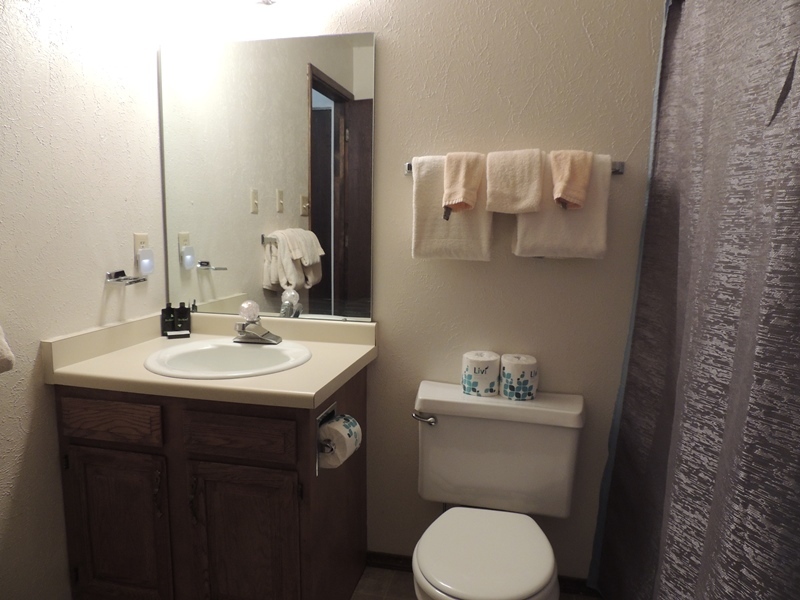 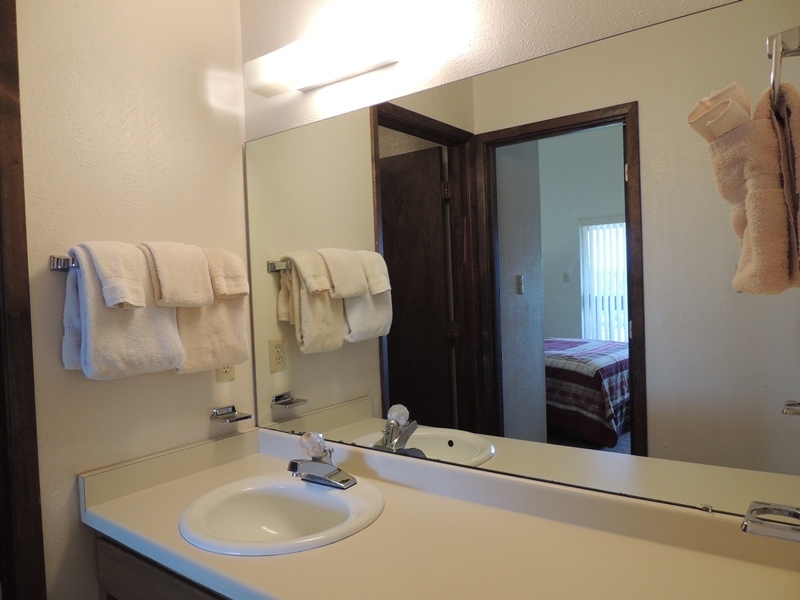 There is a full bath on this level.The third bedroom on the second floor has two double beds and an attached bathroom with small jacuzzi style tub.There is an apartment size stackable washer and dryer in the unit.